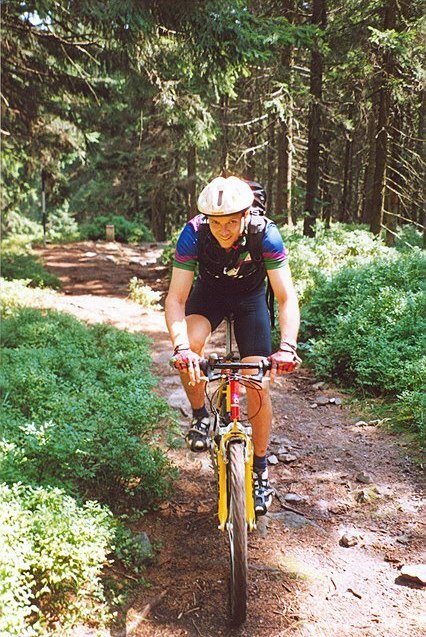 I fell in love at first sight with the mountain bike in a perfumed shopping mall in Vienna some time before Christmas 1989. I was 14 then and thanks to my parents who had always been too proud to stand in a queue from 4 a.m. in front of a bikeshop when a rumor brought news of a few decent bicycles to come (there used to be shortage of everything in that time in the Czech republic) I was doomed to ride my father’s battered ladies street bike. Two years later, when I got together a few bucks by helping at construction sites or washing windows in a factory and parents finally donated another few bucks, I could celebrate purchase of my first real mountain bike. It was no racer but it had its 21 gears, gear shifts on the steering bar, solid frame of CrMo steel and terrain tires. However, it was enough to drive me completely exhausted when I rode back home to a neighboring town along a huge detour across woods and meadows. A lot of water and many kilometers across mountains and forests have passed by since then. Even my first bike, may God give it eternal glory in MTB heaven. Calm down, I’m not gonna write a novel about my other bikes or trips. 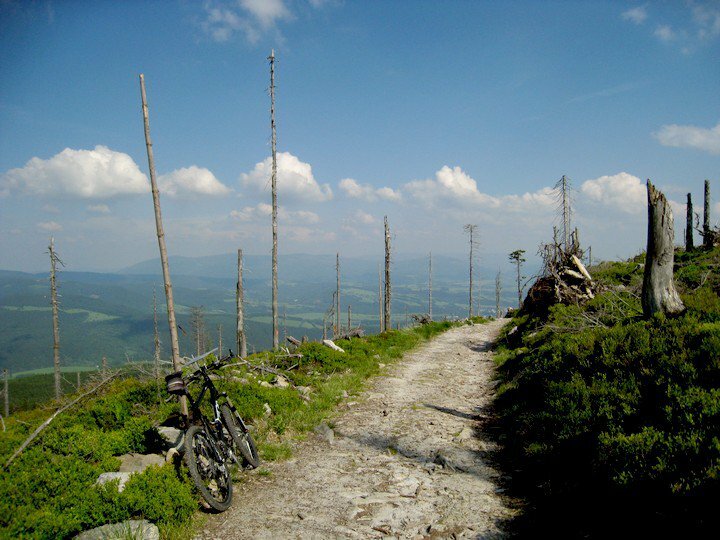 Anyway, I’m still faithful to MTB and still enjoy my bike trips all the same. During last couple of years with Locus Map on my steering bar of course. Nevertheless, Locus didn’t come to me out of the blue – at first I made my own “discovery” of the GPS technology. In the beginning it was a huge brick with a fat antenna and tiny display showing just some digits, later the brick got smaller, the display bigger and the map came. From the first one I put my hands on the GPSies could tracks my activities. I. e. record the traveled track that I could export and view on my PC. That way a man could remind of one’s trip and travel it, at least virtually, again. The real revolution came with the smartphone. Souped up thing with loads of sensors monitoring position and movement, all displaying on a map. And one could even make phone calls or photos with it or browse the Internet. A real magic for us who remember solid telephones with circular dial-up or PC XTs. People started to take their smartphones away with them everywhere – to their bike rides with family, to their morning run workouts, to their backpack wanderings in the mountains. Loads of apps that were able to monitor, record and share those activities on the Internet swarmed in appstores – sports trackers. 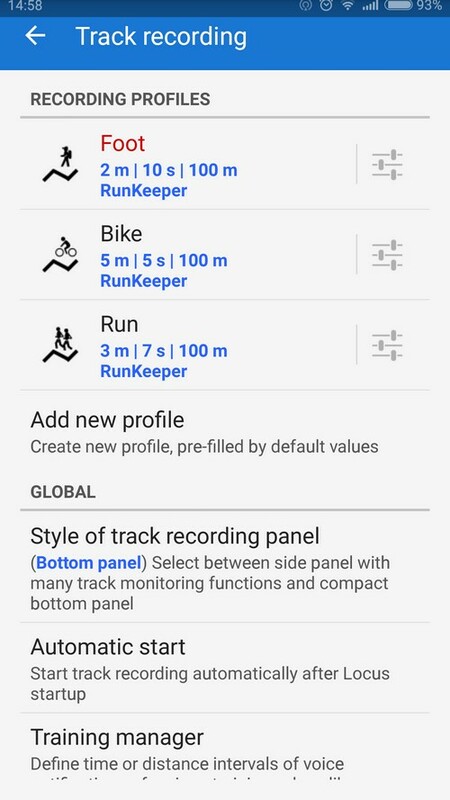 Endomondo, Runkeeper, Runtastic, Strava… Running with voice notifications of tempo, distance or average heart rate directly into earphones became standard among active people. What’s more, loads of apps that could display map and navigate along a route appeared, and Locus Map among them. Locus Map was beefed up with features since the very beginning. It contained lots of maps including my favorite SHOCart bikemaps. Even track recording was a piece of cake for it. However, I used other apps for sport tracking – I swapped Endomondo and Runkeeper, depending on which of them was more stable at the time. Both apps were connected to community websites where many of my friends had signed up and we could share our workouts and bike rides. All was cool but one thing – I had to use three apps for one activity! Možná hloupý dotaz, ale lze trasu nahranou v Locusu zobrazit pomocí Tapiriik.com v Endomondu? Pokud ano, prosím o stručný návod. Díky. Dobrý den Martine, Tapiriik.com umí synchronizovat mezi webovými službami, což Locus Map (zatím) není. Nicméně cesta zde je – vytvořte si účet na jedné ze služeb, které podporují import z Locusu – Runkeeper, Strava, Velohero aj. a pomocí Tapiriik.com synchronizujte na Endomondo. 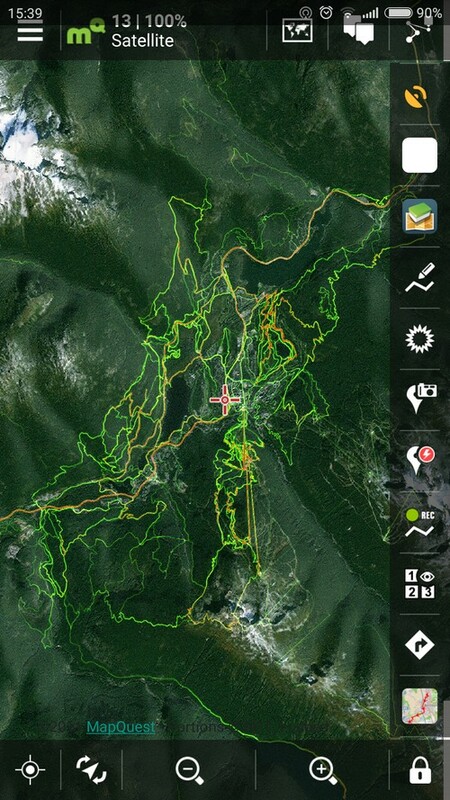 how do you get Strava heatmaps? I changed the referer to http://www.strava.com/routes/new?utm_source=my-source which results in even better to see heatmaps IMHO. Sadly it’s still only usable in combination with satellite or terrain maps. When used as overlay for maps that already contain some information, you can’t really identify anything anymore.